Apr 20: Actor Peter Donald passed away 40 years ago today (in 1979) at the age of 61. 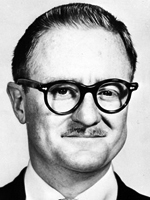 He would be 101 years old if alive today! He appeared in 2 episodes of Radio Mystery Theater. LISTEN TO ALL YOUR FAVORITE CBSRMT EPISODES ONLINE FOR FREE! In 1974 long-time radio producer Himan Brown convinced CBS to green-light a new anthology of Radio Dramas, CBS Radio Mystery Theater (CBSRMT). Radio Drama had been declared "dead" twelve years before. CBSRMT was able to attract a wide array of talent. 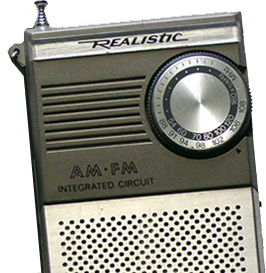 Many of the voices that were popular during the Golden Age of Radio made appearances on CBS Radio Mystery Theater, and younger talent, often from CBS Daytime Television and NY area stage appeared in the radio broadcasts. Browse the episode guide of 1,399 Radio Mystery Theater episodes and listen to free streaming shows and downloading your favorite Mystery Theater episodes in MP3 format. Click on the yellow stars to vote for your favorite radio mystery theater episodes online, radio actors, or writers and use the online comment system as a forum to discuss your favorite Radio Mystery Theater programs with fellow RMT fans! This website is run by the support & generosity of listeners like you. 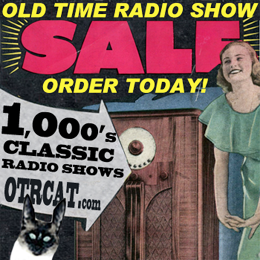 By providing these old time radio shows for free we hope to keep the spirit of the Old Time Radio (OTR) alive for new audiences and fans who heard these classic broadcasts live in bygone decades.